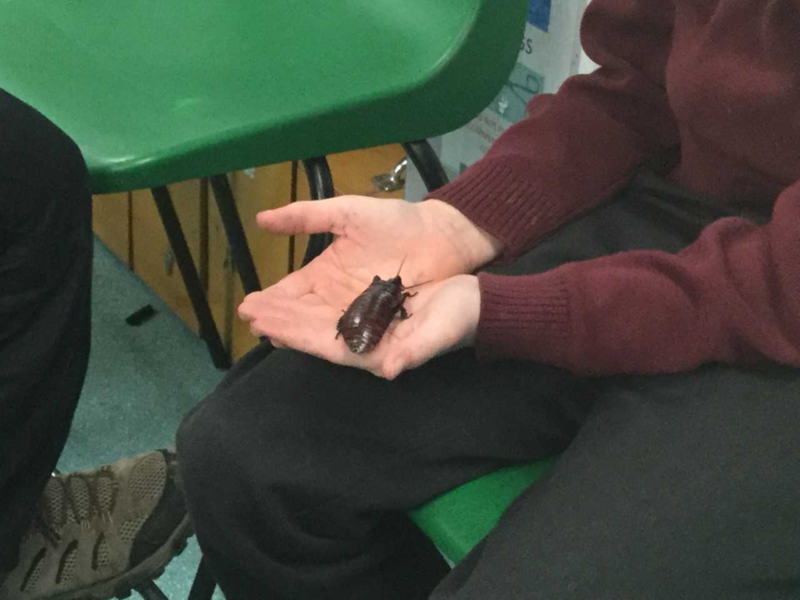 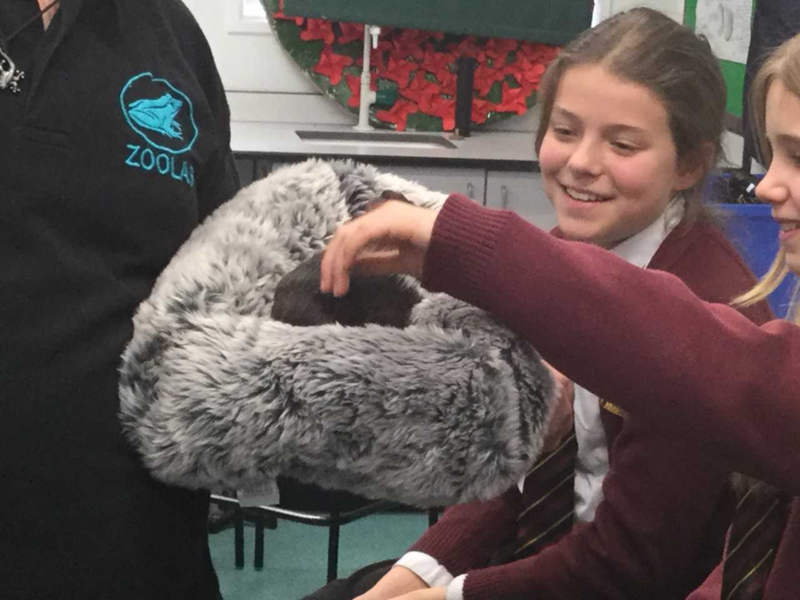 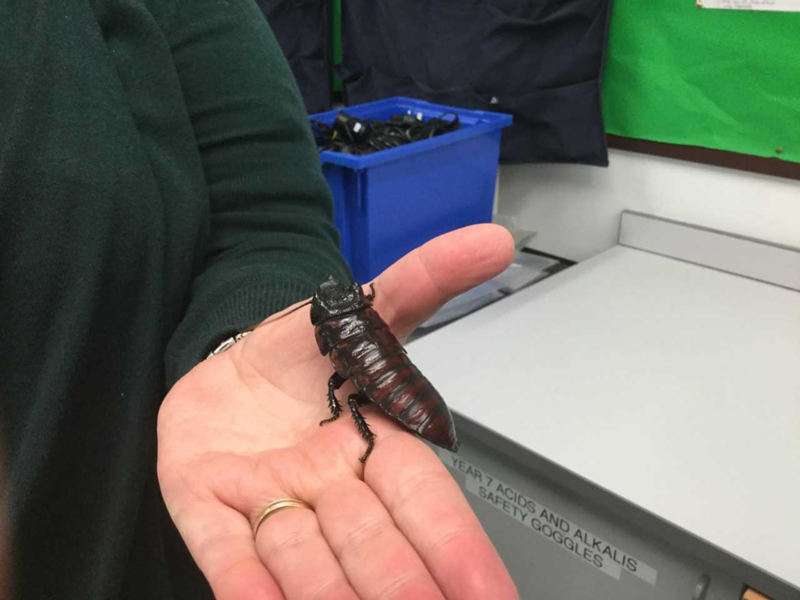 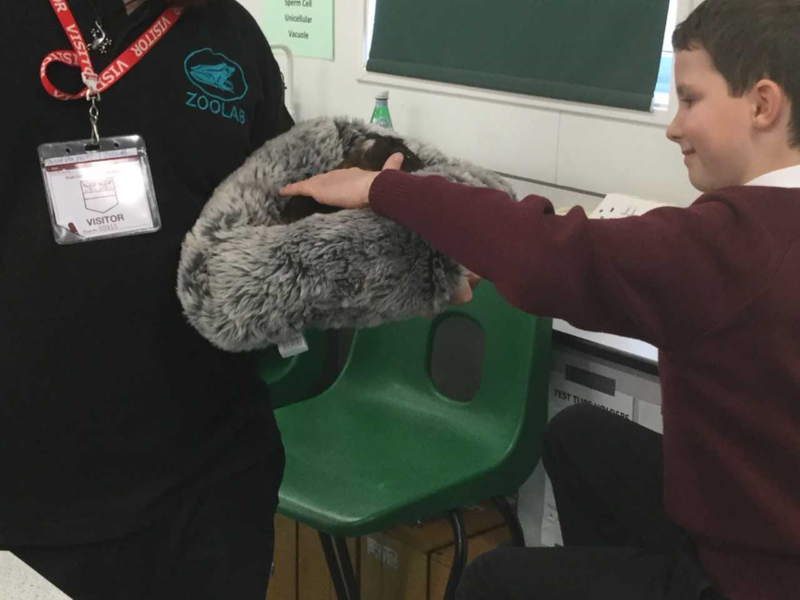 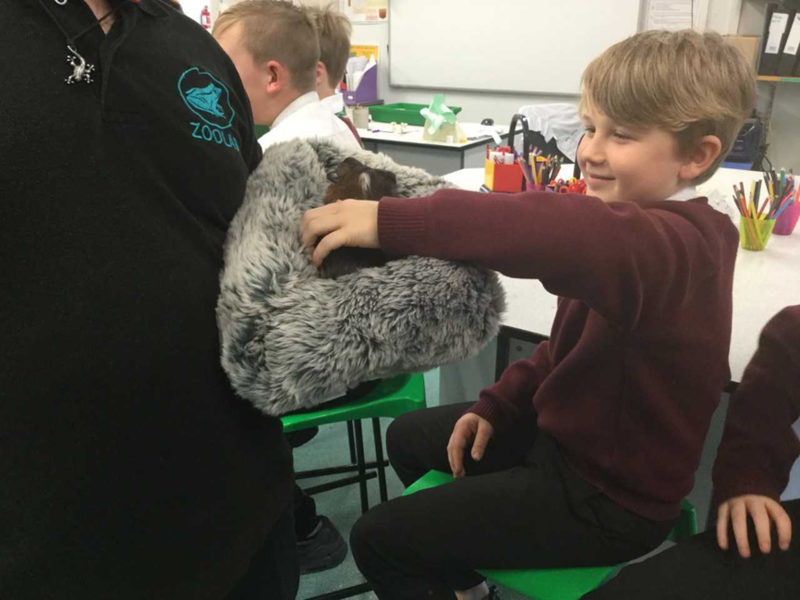 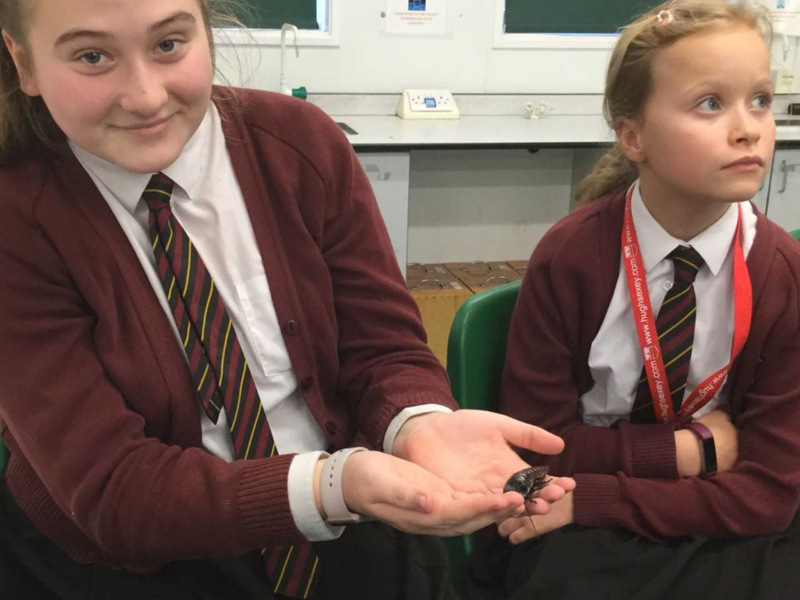 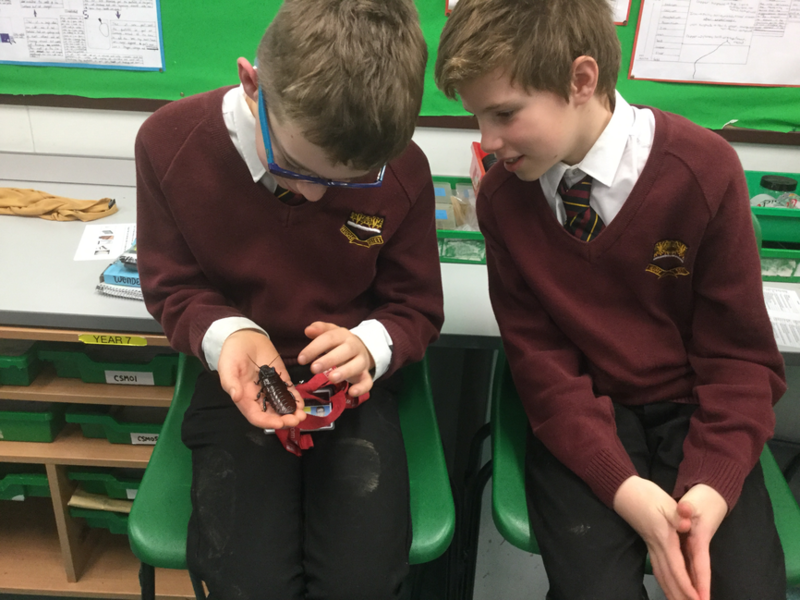 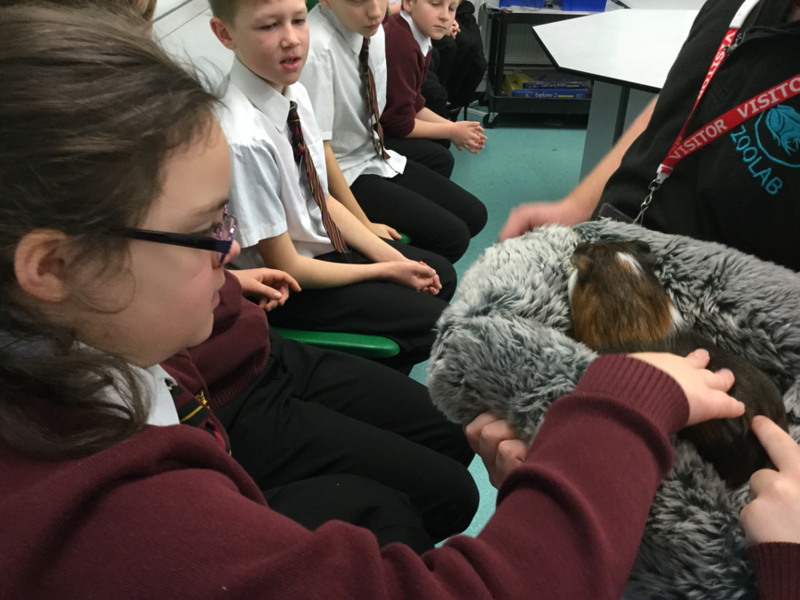 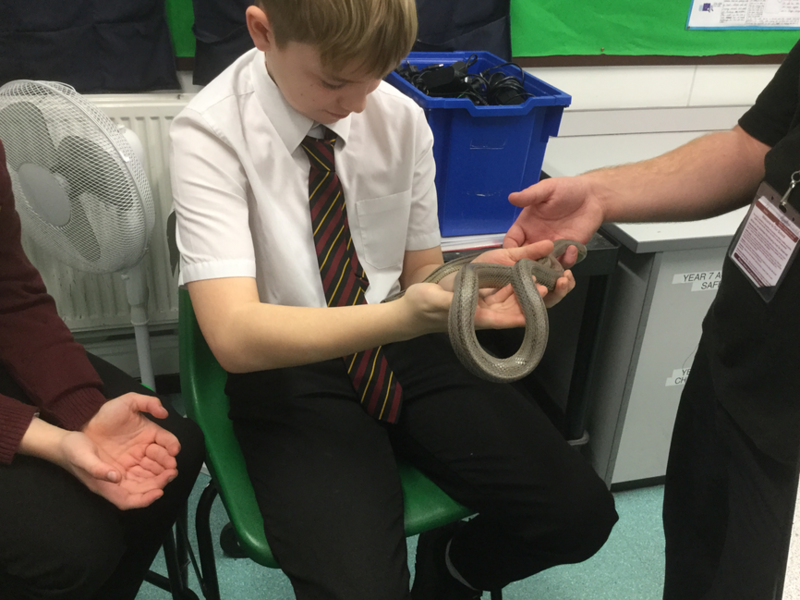 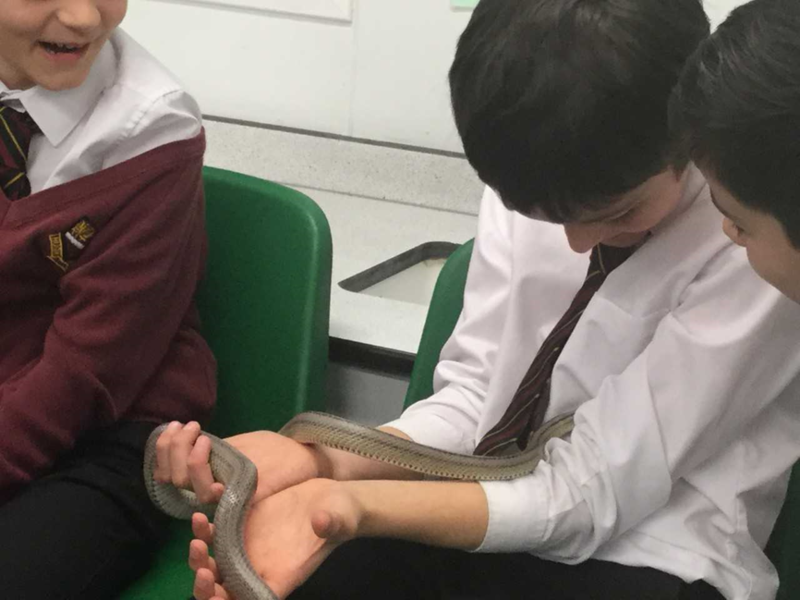 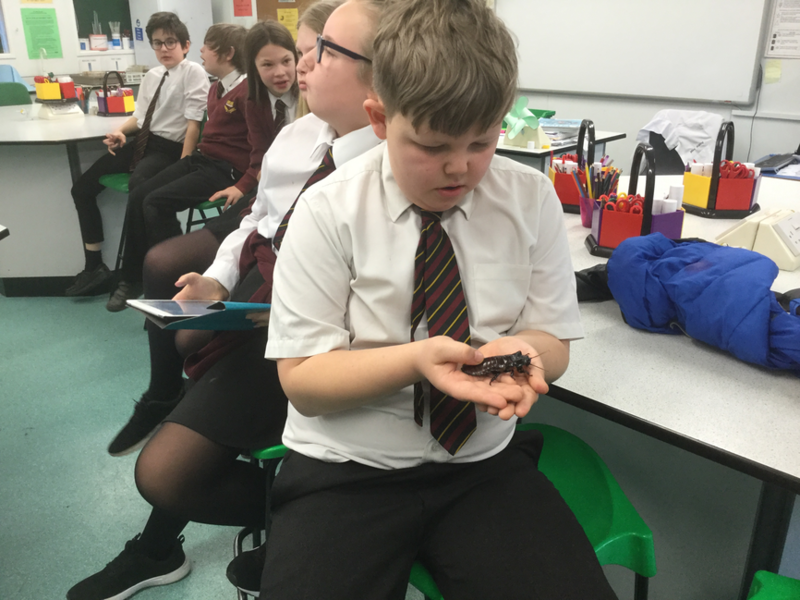 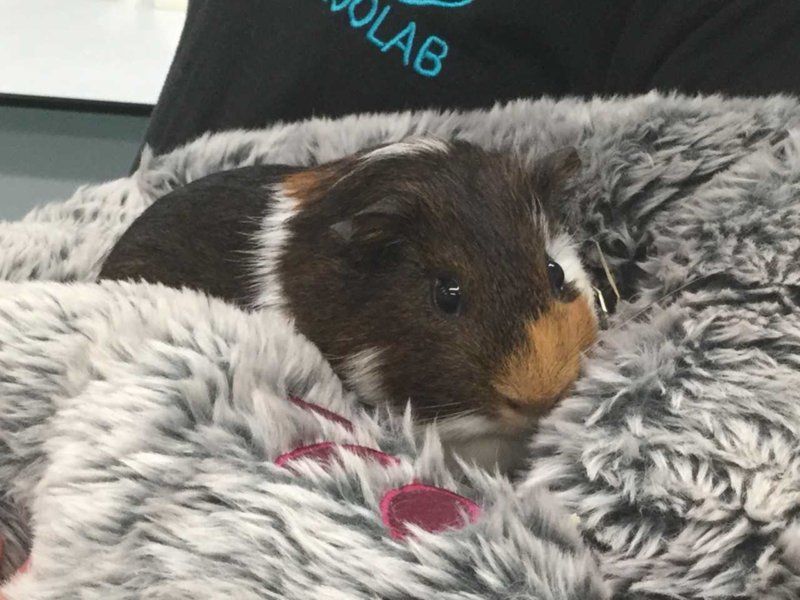 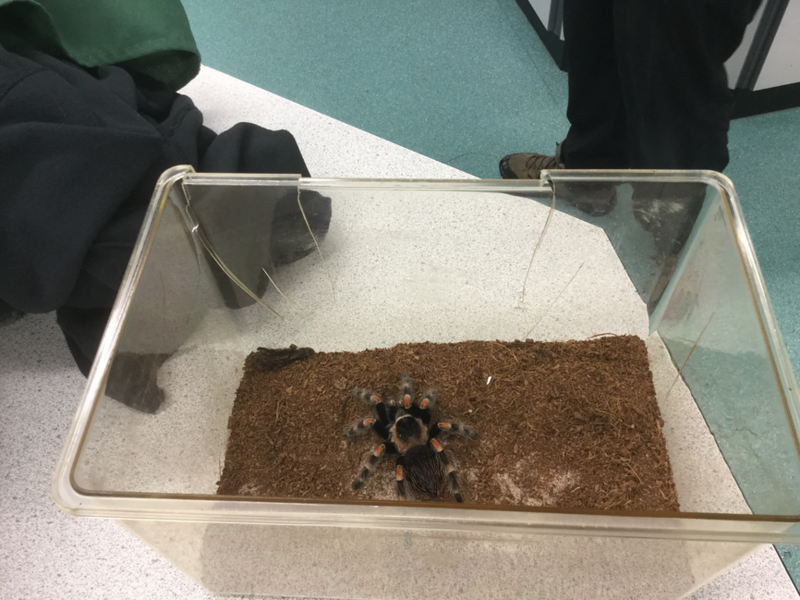 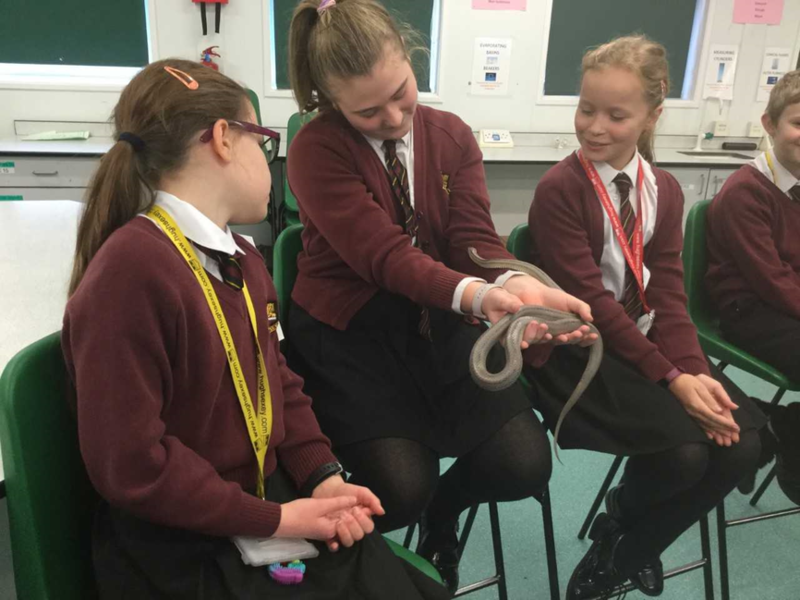 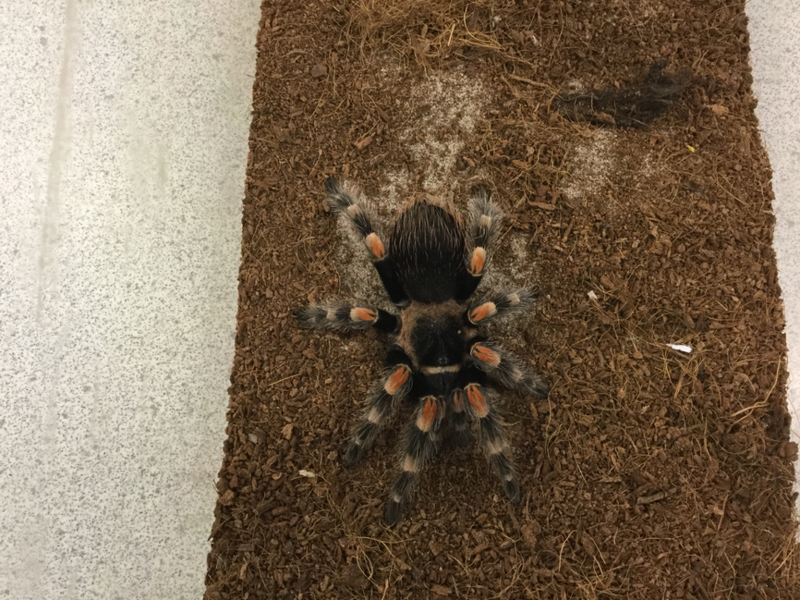 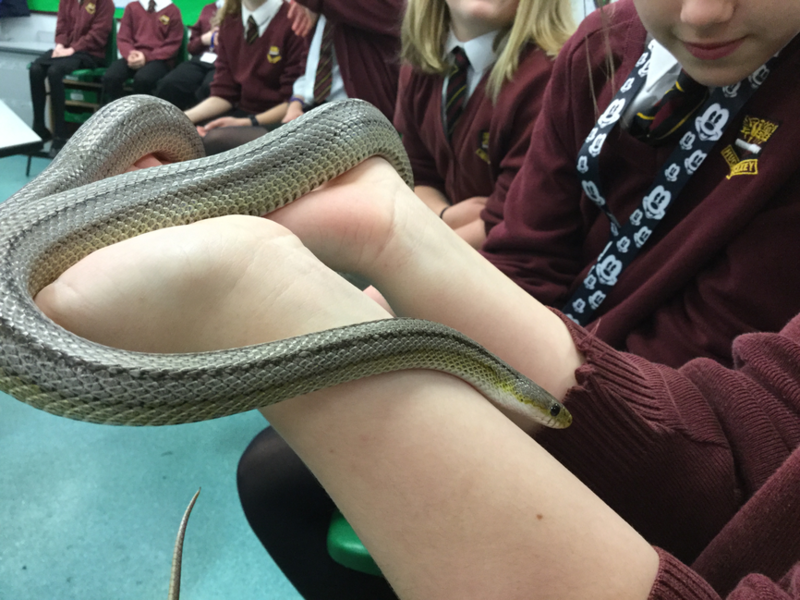 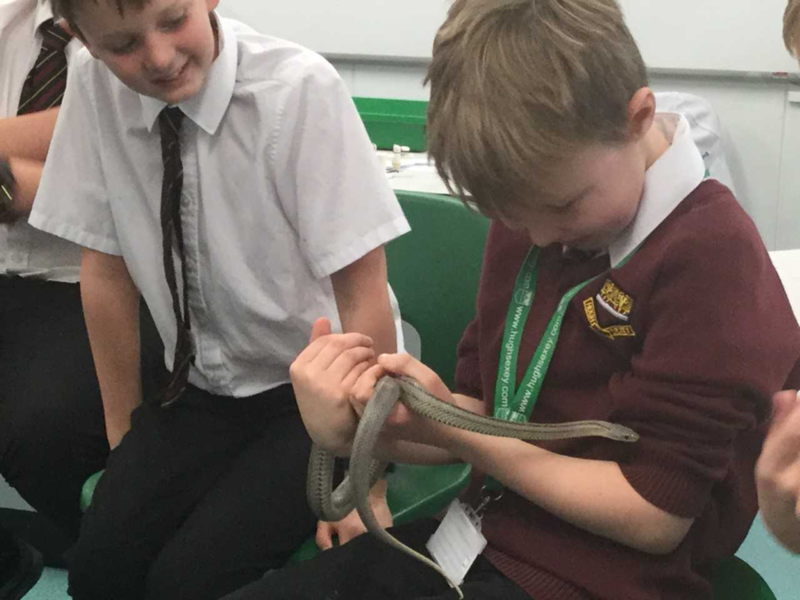 On Thursday 24th January, Miss Waring (Leader of Science) organised for Year 6 to receive a visit from ZooLab, which gave the pupils an opportunity to have a close-up experience with a range of different organisms.. 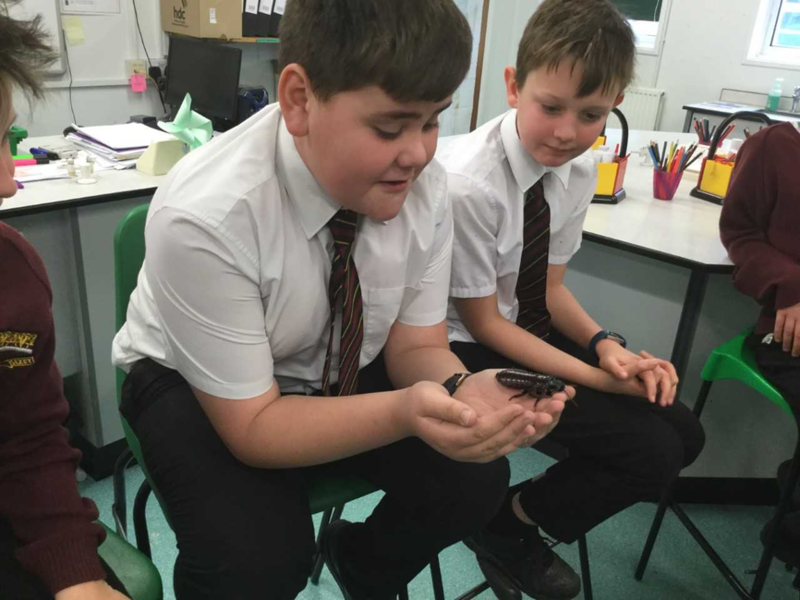 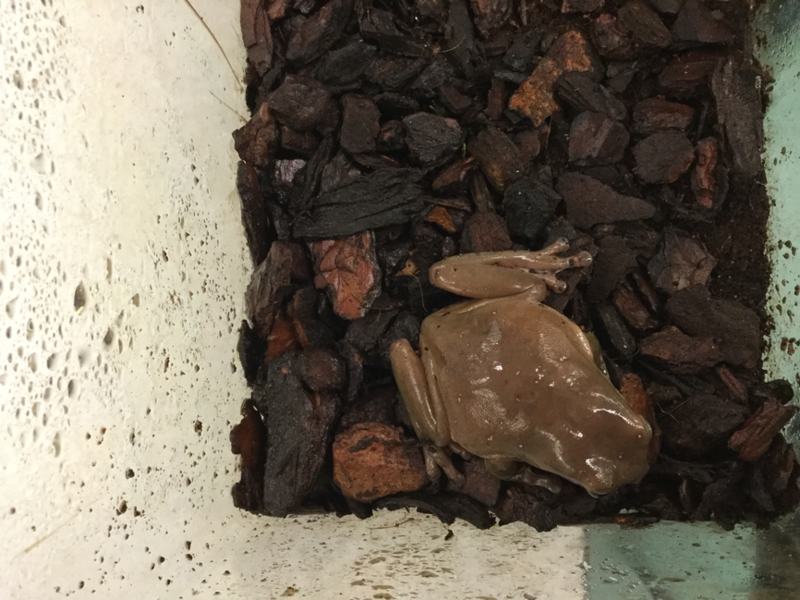 This was to support them in their current Year 6 Science module of classification..
Those children that wanted to were able to hold a corn snake and a hissing cockroach; to stroke a guinea pig, and to observe a white tree frog and a tarantula. 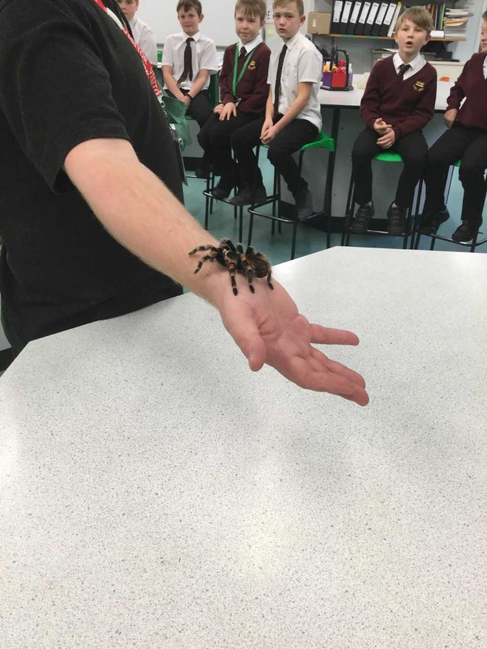 There was much excitement and in some cases (Mrs Jarrett) a little trepidation, but even Mrs Jarrett overcame her fear of hissing cockroaches. 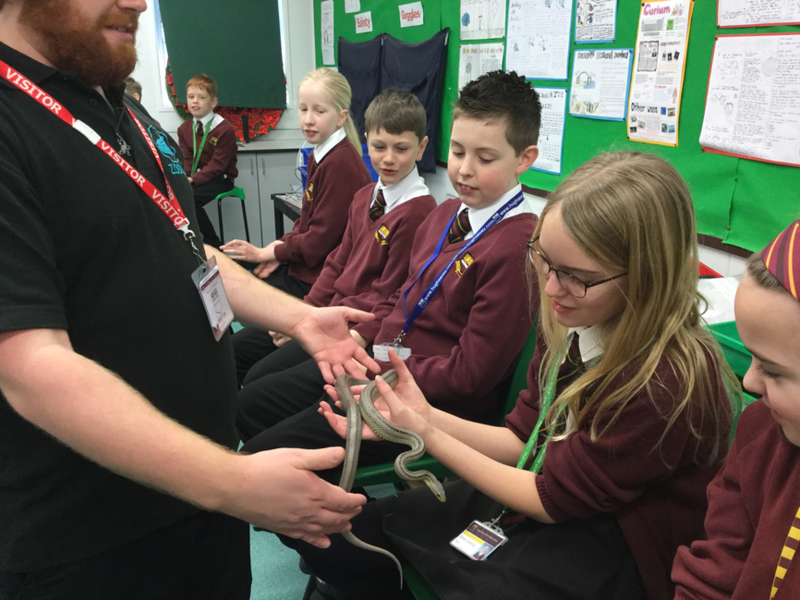 Here are some photos showing Year 6 pupils enjoying this “awe and wonder” experience at the start of their topic.